Since The Great Recession and the rise of Amazon, much has been written about the coming “retail apocalypse,” where traditional brick-and-mortar stores die out and go the way of the horse and buggy and Betamax tape. In Pittsburgh alone, you can find plenty of supporting evidence. In May, the Gateway School District Board in Monroeville voted to increase property taxes in order to fill a budget gap caused in part by declining tax revenue at the Monroeville Mall. The mall, made famous in the 1978 film, “Dawn of the Dead,” only has occupants for about half its stores. A sheriff’s sale for the now mostly shuttered Century III Mall was originally scheduled for June but has been repeatedly pushed back due to legal disputes with the property’s owners, who filed for bankruptcy in September. In 2017, The Galleria at Pittsburgh Mills mall in Frazer Township sold at a foreclosure auction for $100 dollars. Given the grim headlines and numbers, it’s easy to see why many would fear the retail apocalypse. And yet, speaking to NEXTpittsburgh, several experts in the Pittsburgh region say the obituaries are premature. 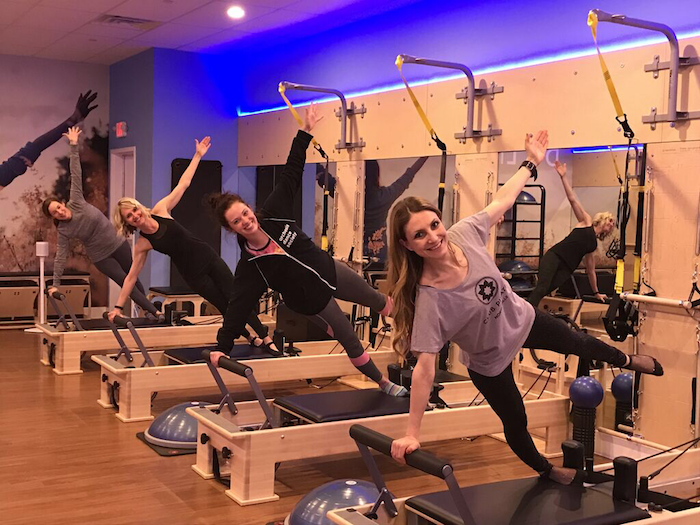 The Block Northway offers fitness such as Club Pilates, pictured here, and SoulCycle for spinning. Photo courtesy of The Block Northway. John Jackson, vice president of retail and investment brokerage with Grant Street Associates in Downtown Pittsburgh, pointed out that while many malls in the region stand closed or vacant, there are many notable examples of Pittsburgh shopping centers that have not only endured but have thrived in the last decade. He pointed to The Block Northway mall, which after a large and costly renovation, has successfully rebranded as a destination for discounted fashion brands such as Nordstrom Rack and Saks Off Fifth. It’s also the only place in Pittsburgh where you’ll find The Container Store and Wahlburgers. And it offers fitness programs through ClubPilates and Soul Cycle. Likewise, Ross Park Mall has held its own with additions such as Nordstrom, LL Bean, and Crate and Barrel, none of which can be found elsewhere in town. Nova Place on the North Side, which was once the dying Allegheny Center Mall, has succeeded in its second life by undergoing massive renovations and embracing a range of high-end amenities like co-working spaces and fitness centers. 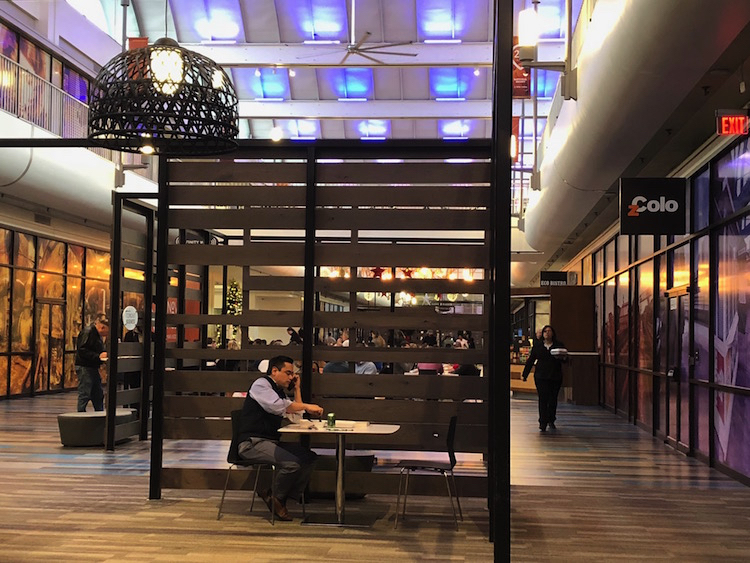 There’s very little retail but there are eateries, including kiosks, Eco Bistro and La Prima Espresso and the expansive and successful Federal Galley, a food hall with a busy bar. After a huge financial investment, the former Allegheny Center Mall is now Nova Place, a tech hub with co-working space, a fitness center, Federal Galley and lots more. Photo by TH Carlisle. Farewell to the department store? Speaking from his office at Carnegie Mellon, Carter echoed Jackson’s comment, saying that many shopping centers have succeeded by embracing the “experience economy,” an increasingly common business model that moves stores away from simple retail to providing some kind of entertainment. While this usually means movies, gyms or restaurants, several Pittsburgh locales are embracing even more experimental attractions like escape experiences and demolition rooms. A sudden glut of available storefronts and real estate gives many entrepreneurs room to experiment. Westmoreland Mall in Greensburg recently applied for a license from the Pennsylvania Gaming Control Board to build a mini-casino. 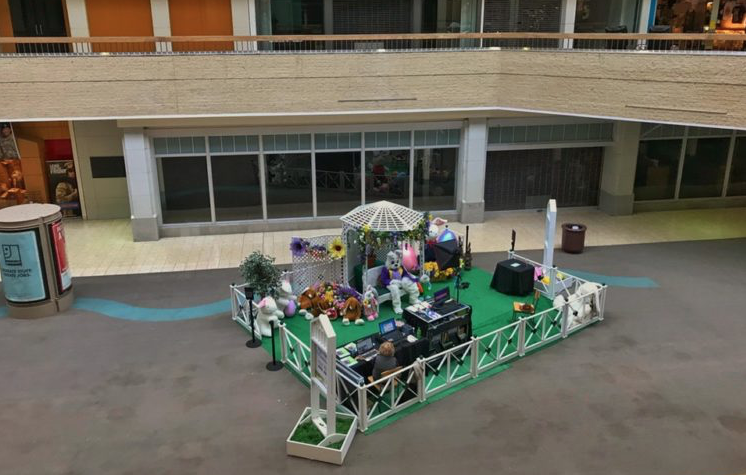 An Easter Bunny at Century III Mall. Photo via Reddit user msteiner90. In addition to his eight years of teaching and researching at CMU, Carter spent 36 years in the public sector as an architect and urban planner. He says that while e-commerce giants like Amazon are most often blamed for the fall of traditional retail, the seeds of the downturn were planted many years before anyone shopped online. “The U.S. basically has been over-retailed since the 1990s. Maybe even the 1980s.” According to Carter, sites like Parkway Center Mall in Green Tree simply didn’t have the fundamentals of strong retail space, owing to the out-of-the-way location and the proximity to other shopping options. For Carter, the raft of closings we see now is an inevitable market correction. “Without e-commerce, there would have been a churn, for sure,” says Carter. While Jackson and Carter express confidence that the retail market will continue to evolve and settle, neither minimized the economic pain a dying mall can inflict on the local community. While the challenges are real, Carter emphasizes that consumer habits can change rapidly, and are not easy for even experts to predict. He points out that farmers markets and food trucks have only become a staple of city life in the past decade. The post What’s the future of Pittsburgh malls? Local experts weigh in. appeared first on NEXTpittsburgh.